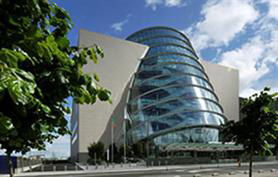 The Convention Centre Dublin (CCD) has won a contract to host the Association of Anaesthetists of Great Britain and Ireland in 2013. The three-day event, to be held in September, is set to attract over 800 international and 200 national delegates. It will consist of plenary, parallel scientific sessions as well as an industry exhibition to promote and advance education, safety and research in anaesthesia and the opportunity to network within the industry. "Dublin will be a real draw for our delegates; with easy accessibility, plenty of culture and an exciting scientific programme planned," said Dr Samantha Shinde, chair of the Association of Anaesthetists of Great Britain and Ireland Education Committee. "Our annual congress changes venue every year, and we are thrilled that our Irish colleagues have a chance to be the host city for our 2013 event".